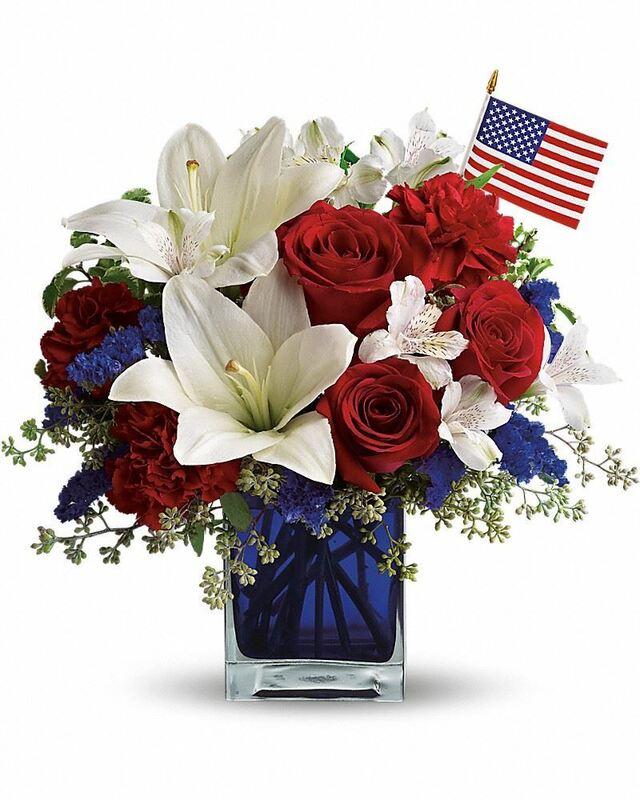 Provide comfort for the family of Joseph Bellino with a meaningful gesture of sympathy. Born to Michael and Sara Bellino on March 13, 1938 in Winchester Massachusetts, Joe Bellino began his life surrounded by a loving family which also included four brothers: Vito, Sam, Anthony, and Michael; and one sister Betty-Ann. Perhaps best well known for his athletic accomplishments, much has been written of his prowess as a standout three-sport athlete at Winchester High School and at the United States Naval Academy, where he played both baseball and football, winning the Heisman Trophy in 1960. But Joe would have been the first to tell you that his first love was to his family, and that athletics never defined him. Joe’s story is truly one of an extraordinary life well lived. He played games he loved with teammates and coaches he admired and adored. He met the love of his life, Ann Tansey, at the age of 16 and married her upon graduation from the U.S. Naval Academy where he earned a Bachelor of Science degree in Engineering which was a first for his family and a benchmark set for many more to follow. He and Ann raised two children, Therese and John, and instilled in them the same respect and love for life he held so dear himself. He held all three of his grandsons, Ian, Evan and Eric, in his arms when they were born, visiting with them often over the next 19 years and preferring to speak to friends and colleagues more of their exploits and accomplishments than his own. 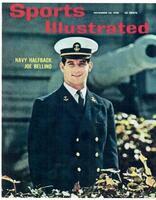 Joe entered the U.S. Navy as a Surface Warfare Officer after college where, among many other adventures with the Navy, he served aboard the USS Norfolk as the aft gun mount officer in Guantanamo Bay during the Cuban Missile Crisis and navigated a minesweeper out of Sasebo Japan through a typhoon during a deployment to Vietnam. After his Active Duty commitment, Joe chose to continue with football over a more lucrative baseball offer from the Pittsburgh Pirates in order to be able to go back to the place and people he loved in Massachusetts. He played for a brief period with the Boston Patriots and continued his affiliation with the organization in the years to follow, but went on to a very successful business career over the next five decades where he owned and operated his own catering services business for Massachusetts Junior Colleges, pioneered automobile leasing and bank leasing programs up and down the east coast, and served on multiple Boards of Directors for various banking institutions. A fierce competitor, he continued to work up until a few months before his 81st birthday just because he could; and he could still take on most people half his age at anything… and win. Along the way he also completed a 28 year military career in the Navy Reserves, where he held multiple leadership and Commanding Officer positions culminating in a Honorable Discharge and retirement at the rank of Captain. Joe remained a devoted advocate for the Navy, the Naval Academy, all service veterans, and the charities and organizations dedicated to the benefit of wounded veterans. Joe always chose family over fame or fortune, and viewed his celebrity not as an entitlement, but as an obligation to help and support others less fortunate than himself. Regardless of station or status, two minutes with Joe would make you feel as if you had known one another for a lifetime. A man without ego, Joe was the most genuine, kind and caring gentleman anyone could ever have had the pleasure of meeting. He approached life with a quiet humility that emphasized character, honor, charity, devotion to help others wherever he believed he could make a difference, and love for his family. The only trophies you will find on display in his home are the pictures of family and friends, past and present, that hang on every wall. He had opportunities to meet and befriend multiple Presidents, Bob Hope, Rocky Marciano, Ted Williams, Mickey Mantle, Joe DiMaggio and others; but would have traded every second of those encounters for just one more moment with his family; and that was true long before he became ill. The cancer that took Joe in the end was aggressive and fast, but he fought hard and well every step of the way; and as he did on the playing field, when it became clear the game was unwinnable, there were no complaints or blame, he just fought harder. At the end, Joe held his head high with grace and dignity knowing that he had played this greatest of games to the best of his abilities with nothing left on the field and no regrets; but also flashing a wry smile secure in the belief that he hadn’t been beaten, he’d just run out of time. We may never know why Joe’s number was called upon one more time to serve a higher power, but he left this world on the 27th of March 2019 just as he entered it, surrounded and held by a loving family in full recognition he had been the greatest part of our lives and we of his. And all of us are better for it. Joe is survived by his wife of 57 years, Ann; his son, John; his daughter, Therese; three grandsons Ian, Evan and Eric; his daughter-in-law Annette and son-in-law Cary; and two brothers Anthony and Michael. A memorial service will be held at St. Mary’s Church in Winchester, Massachusetts on the 13th of April at 12:30PM. A second military honors memorial ceremony will also be conducted at the U.S. Naval Academy in the future. David. Hodgdon, National Auto Auction Association, and others have sent flowers to the family of Joseph M "Joe" Bellino. My three sisters and I grew up on Canal Street just a few houses down from Ann and Richie Tansey. After Ann and Joe married and had their first child, Therese, I was asked to babysit her a few times. In my scrapbook from the 1960s is an index card on which Joe wrote, 'To Peggy Brown, thank you for taking such good care of Therese. Joe Bellino' Receiving this note with his autograph was such a thrill to me then, because he was a hero to me . . . and he still is now. What an exemplary life he lived. Please accept my condolences on Joe's passing. Heartfelt Sympathies Store purchased flowers for the family of Joseph Bellino. 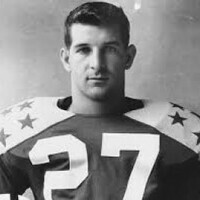 JOESPH BELLINO WAS A GOOD PLAYER FOR THE BOSTON PATRIOTS AND HE WAS SERVED IN THE MILITARY . WE APPRECIATE HIS TIME AND SERVICE . MAY HE REST IN PEACE . 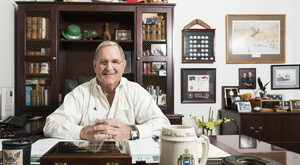 Mr. Bellino was a fine man, and a good friend to our command. 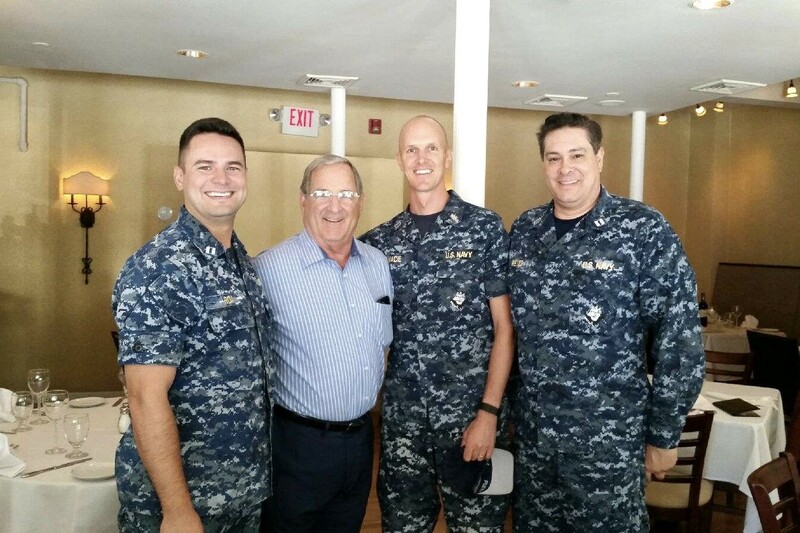 I had the pleasure of meeting him and helping a friend of his get his grandson into the Navy. He was a testament to what a life well lived really meant. With respect and admiration, everyone at NRD New England express our heartfelt condolences for his family and his shipmates. He will be greatly missed. Words cannot express the sadness we fell for the loss of Joe Bellino. We were so grateful to be at the dedication of Bellino Park, an honor that Joe truly deserved. Both a great athlete and wonderful person. #27, thanks for so many cherished memories. We were so very proud to be your cousin. You will certainly be missed. Our condolences to the entire Bellino family. Joe, RIP.